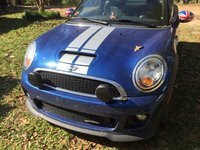 2015 MINI Cooper Coupe How our users rated the 2015 MINI Cooper Coupe. Based on 40 user rankings. Driven or own this vehicle? Rank this vehicle to share your opinion. 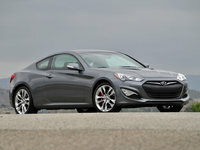 2015 Hyundai Genesis Coupe How our users rated the 2015 Hyundai Genesis Coupe. Based on 52 user rankings. Driven or own this vehicle? Rank this vehicle to share your opinion. 2015 Honda Accord Coupe How our users rated the 2015 Honda Accord Coupe. Based on 55 user rankings. Driven or own this vehicle? Rank this vehicle to share your opinion. 2015 Hyundai Veloster How our users rated the 2015 Hyundai Veloster. 2015 Hyundai Veloster Turbo How our users rated the 2015 Hyundai Veloster Turbo. 2015 Kia Forte Koup How our users rated the 2015 Kia Forte Koup. Based on 44 user rankings. Driven or own this vehicle? Rank this vehicle to share your opinion. 2015 Scion tC How our users rated the 2015 Scion tC. 2015 Honda Civic Coupe How our users rated the 2015 Honda Civic Coupe.